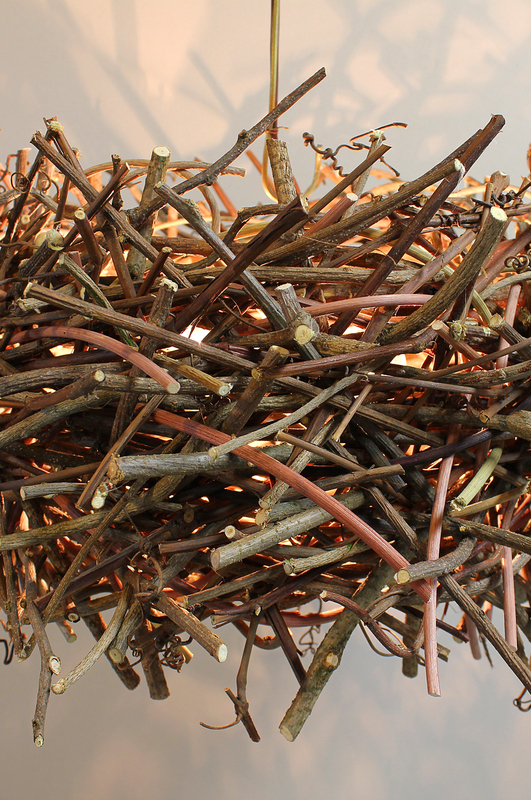 ​Birch & Willow's Roost Pendant is made with reed, willow, twigs, grapevine, bittersweet vine, hand-hammered copper wire. Twig Pendant. 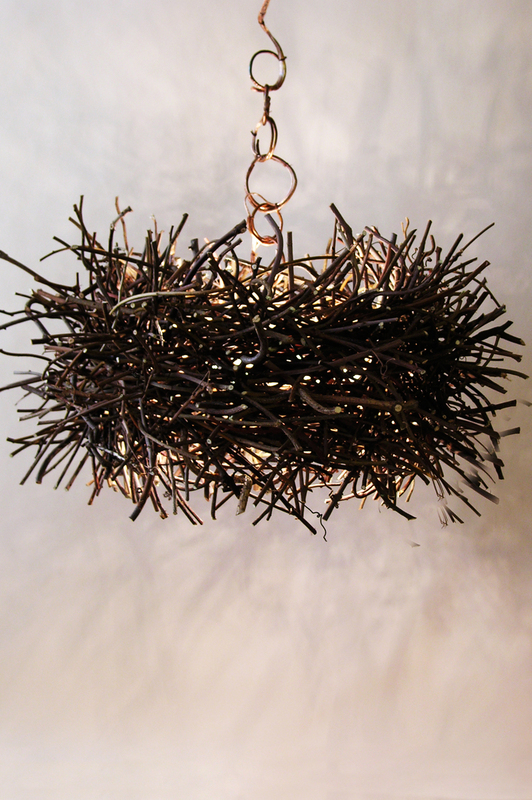 Twig Lighting Fixture. Natural Lighting. Organic Lighting Fixture. Custom painted Round Roost Pendant. Custom designed and painted Round Roost. Small Round Roost woven with natural vine and brightly colored reed for children's room. Medium Eagle Roost Pendant detail. Delightful opportunity to bring outdoors inside. It comes in three versions: Round, Oval, Eagle. We can customize the shape, dimensions, and color, too. * Based on using incandescent bulbs. See our Light Bulb Page for options. No Roost Eagle Cut Sheet available.